A couple of weeks ago, a friend of mine approached me asking me to create a graphic for them, now usually I don't take requests, but considering I owed them a favor and the reference was stunning - I had to accept! 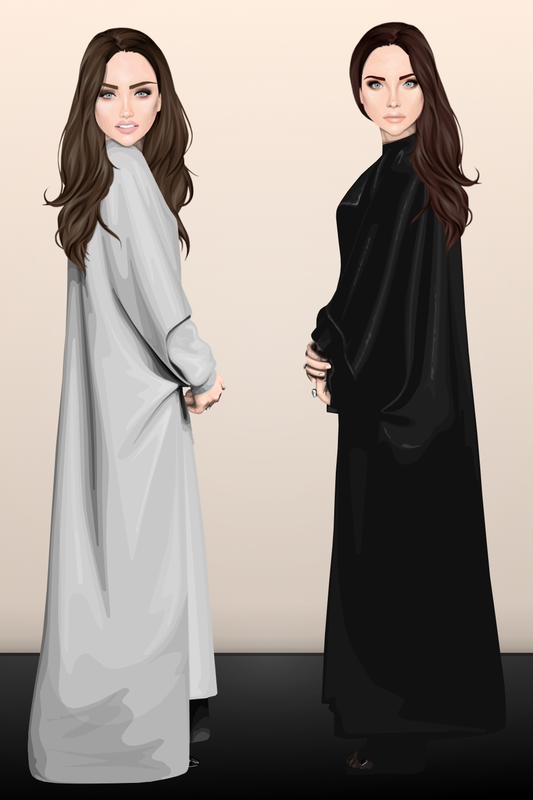 The reference was of the Olsen twins, and I just fell in love. I really love pretty much everything about this graphic, it was so fun to make too! I had a little trouble with the lighting but I think I got it eventually. I used the same hairstyle but styled differently on both models because I wanted to stay with the "matching" theme. Let me know what you think! Leave a comment! Tick a box! I also wanted to say that I'm in the process of emailing out invites to new writers, so please keep your eyes peeled for a message from me if you have applied to write for this blog - if you still wish to apply, you can do so by clicking the "JOIN US" tab on the top of the blog. Furthermore, I know I promised a banner quite a while ago, but I've been up to my neck in other work and it's been crazy trying to prioritize anything. That being said, though, I do hope to get us a flashy new banner by the end of this month (although I'm not making any promises). If any of you have any ideas for what the banner should look like, I'd love to hear them! Part of what makes this blog special is the massive input from the readers, so to have your help in creating our new banner would be just lovely. Also I think those graphics you made are just perfect! This is simply perfect and I know the reference which is indeed very beautiful and from what I could see it's e quite the challenge with the lighting. You did great with it, Jack!